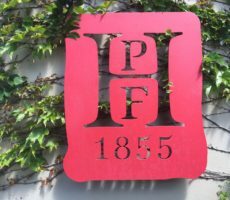 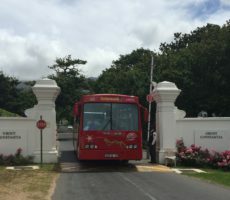 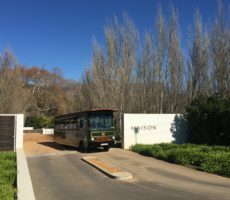 Shinell, our Wine Tram host, had explained that many Franschhoek wine farms are named after the region in France from where the original Huguenots came. 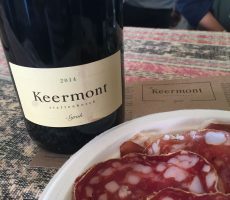 Whilst Chamonix is an area in the Alps to the North of Mont Blanc in France, I am unsure if this was the case for Chamonix (or, as called in the 2017 Platter’s Guide, ‘Cape Chamonix’). 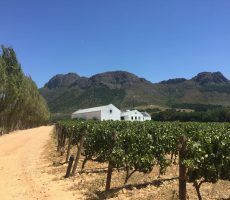 Nonetheless, the name is fitting since Chamonix has one of the highest planting of grapes in the Cape Winelands. 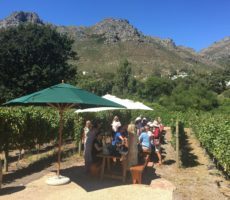 The wine farm was also the highest point on our trip with the Wine Tram on the Red Line. 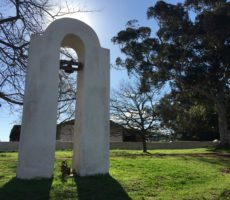 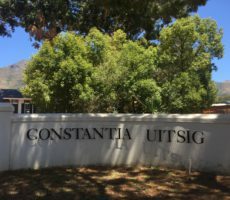 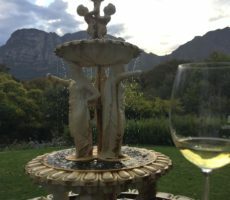 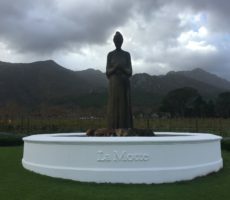 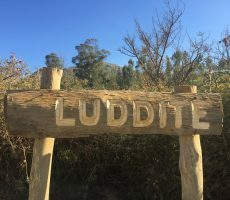 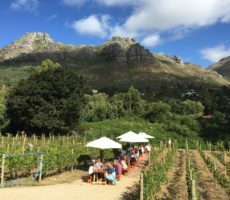 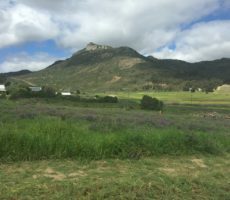 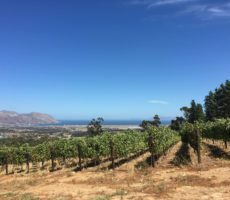 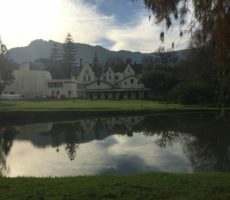 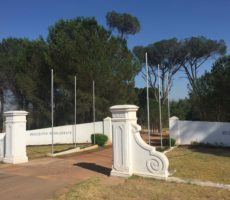 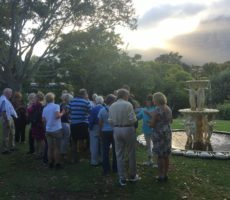 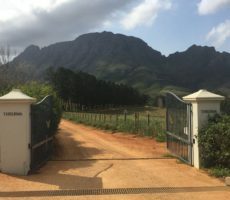 The land was originally part of a Franschhoek farm called La Cotte that was established by Huguenot refugees in the 17th century. 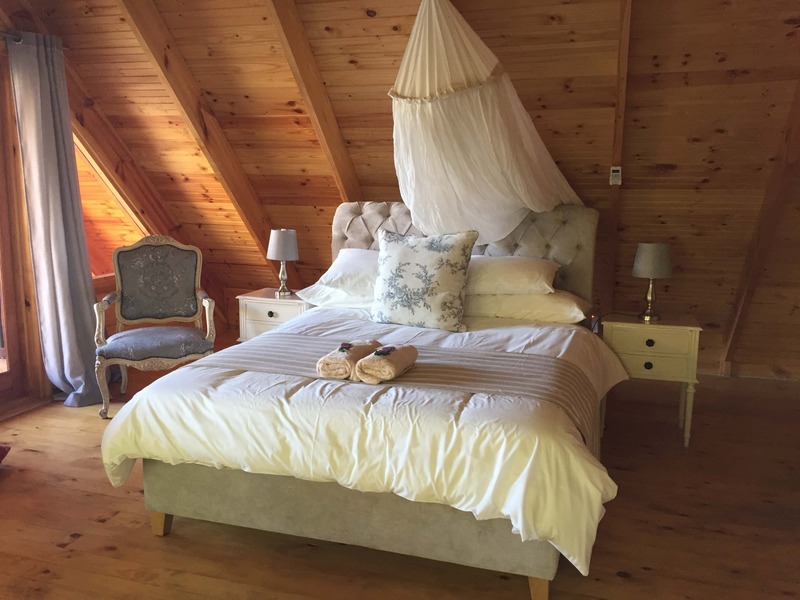 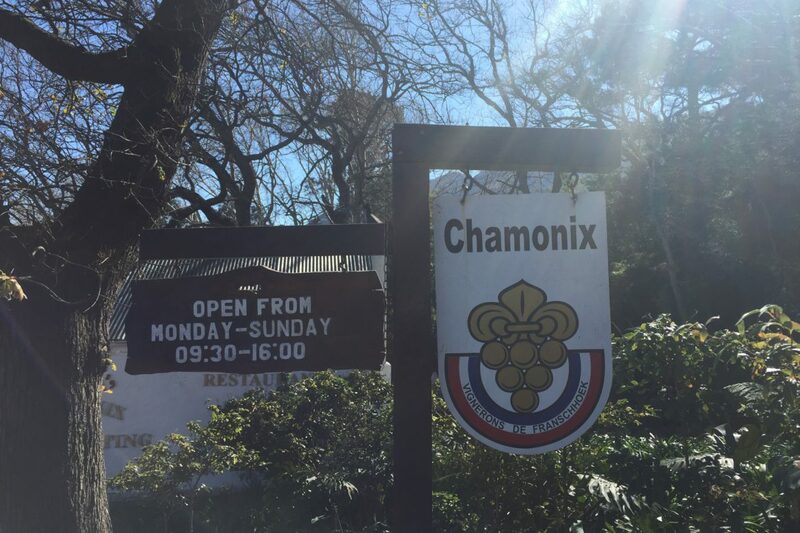 The name Chamonix was given by a German businessman, Chris Hellinger, who bought the property 25 years ago. 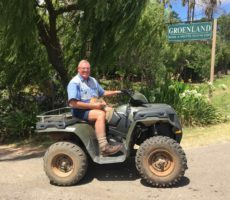 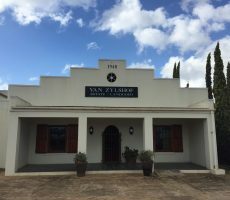 He established a small private game reserve that continues to this day. 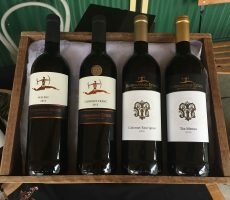 Fifty hectares of the 300 hectare farm are set aside for the reserve that contains ostrich, zebra, eland, bontebok and springbok. 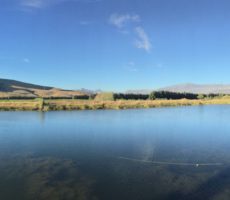 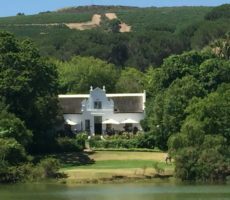 The reserve is not open to the public but guests staying at the Safari and other lodges near the lake can view the game. 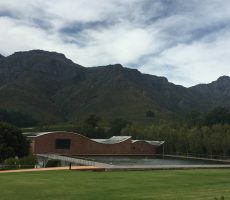 Fifty hectares is also given over for vines that are grown on the cool mountain slopes above Franschhoek. 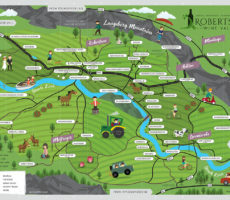 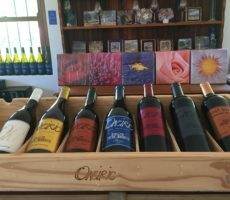 All the big name cultivars are grown to produce a diverse range of single variety and blended wines. 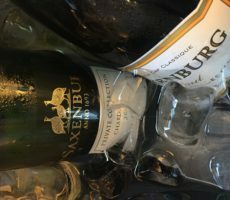 Chamonix has historically been known for its white wines. 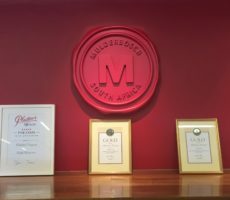 More recently though, it has gained an increasing reputation for top quality red wines. 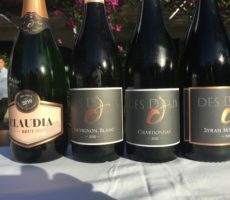 We decided on our way to Chamonix to miss tasting at Dieu Donne afterwards but instead to spend 2 hours at the wine farm, to allow time for both lunch and wine tasting. 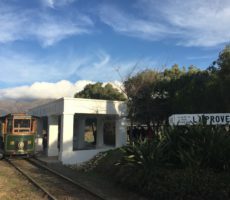 We booked at the Reuben Racine restaurant en route (Racine aptly is the French name for ‘root’) knowing that time is ever tight on the tram. 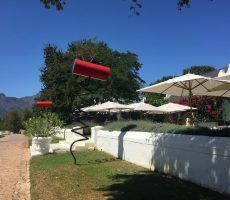 The restaurant was warm and cosy, well lit and with views into the winter sunlight that was dappled by trees surrounding the rear of the building. 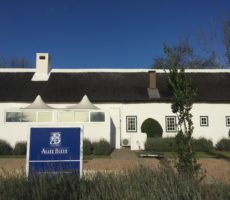 For all its reputation for bistro-style international food – Reuben Riffel started his career at Chamonix – the restaurant disappointed. 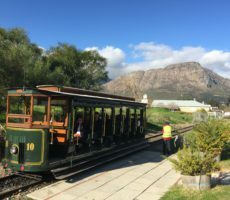 The service was painfully slow even though the staff knew we were on a Wine Tram tour. 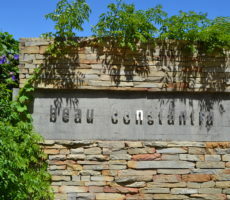 Lunch took well over an hour for a single course meal that cost as much as the 2 to 3 courses we had later at Dutch East in the village in the evening. 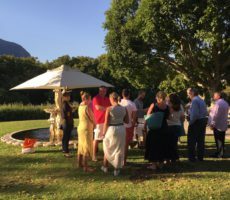 The end result was that our wine tasting was rushed when it should have been relaxed. 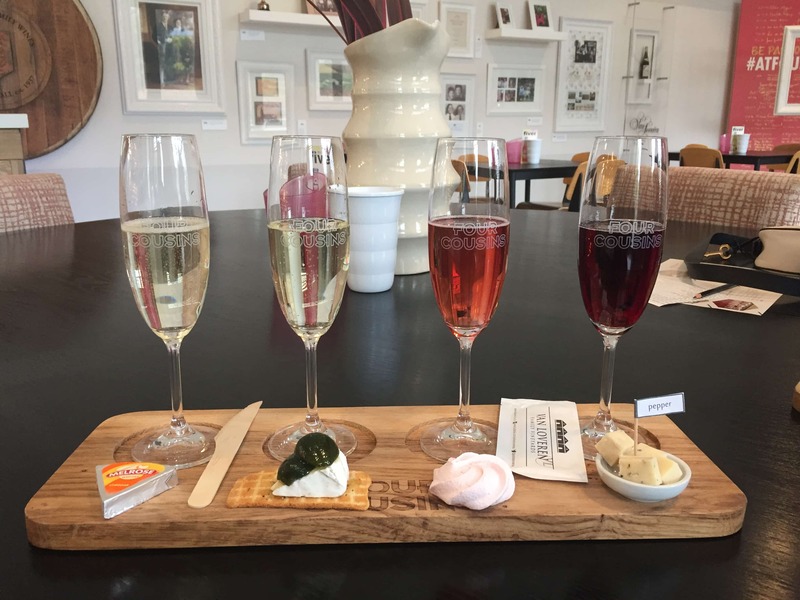 My food was average too. 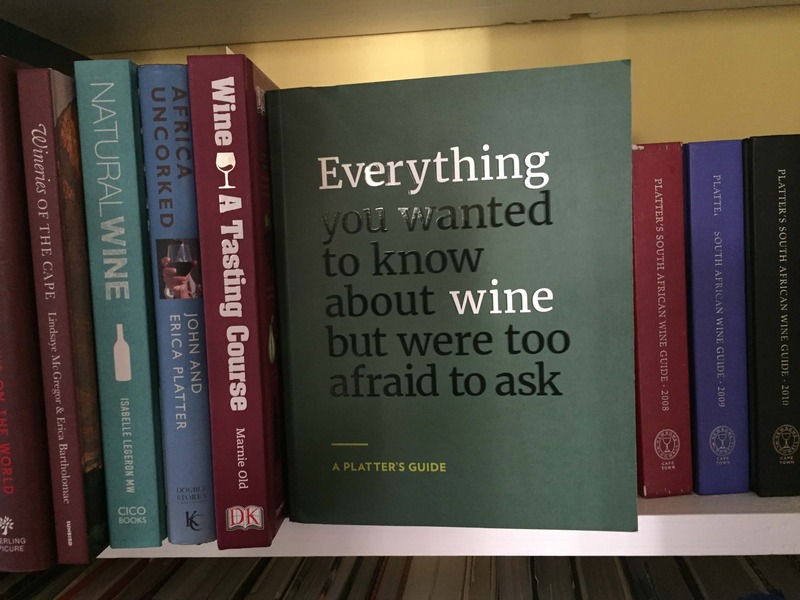 The ‘open’ ravioli with onion, courgette and aubergine was tepid and devoid of taste. 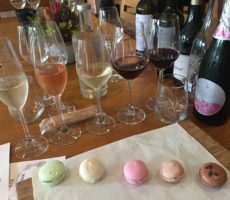 It consisted of little more than pasta discs with shredded ratatouille between and nothing like the ‘exquisite gastronomy’ that the Chamonix website proclaims. 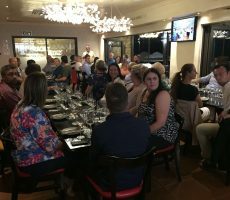 Fortunately for my partner, the blue cheese, mascarpone and spinach tart – a starter the same size as my main course – was tastier. 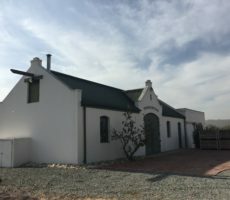 Wine tasting with Pauline was in the late-18th former ‘Blacksmith’s Cottage’ at the front of the building. 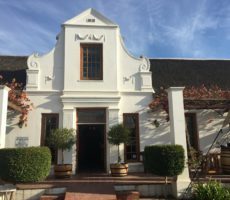 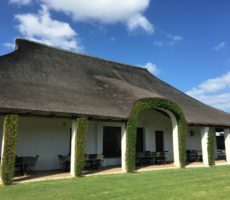 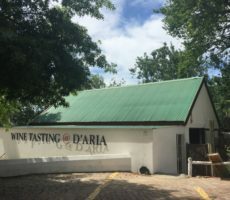 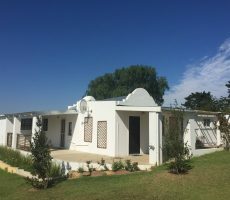 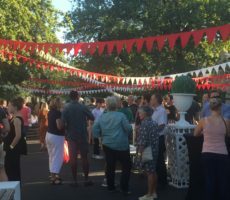 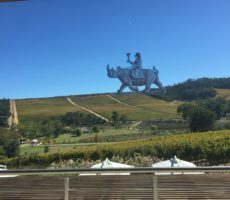 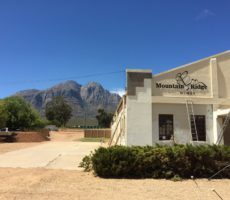 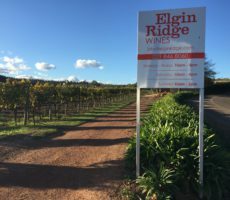 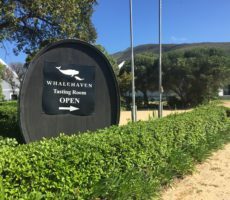 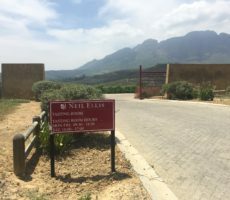 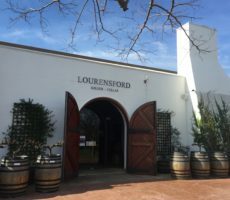 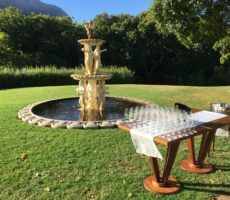 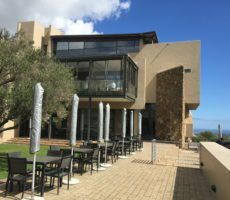 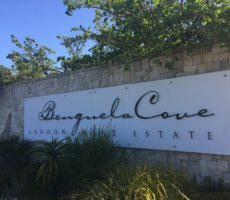 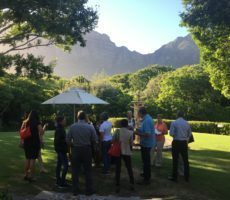 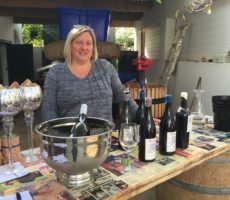 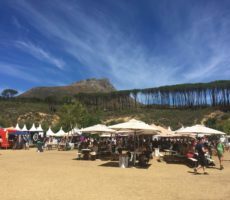 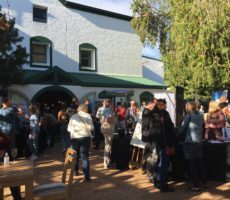 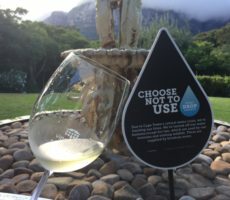 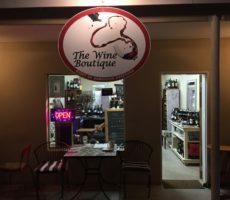 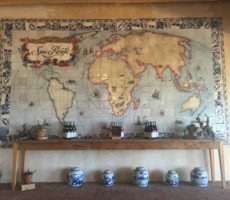 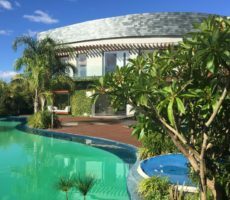 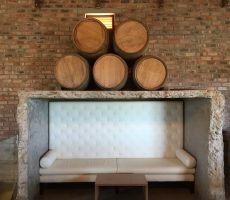 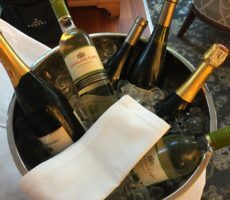 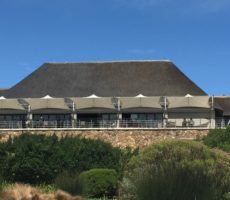 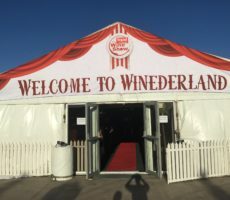 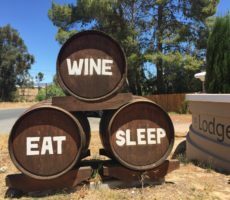 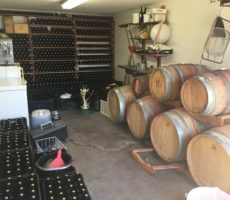 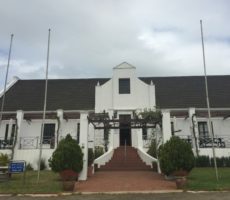 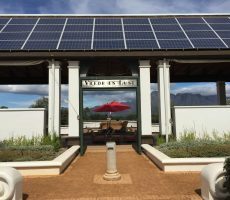 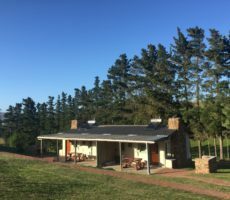 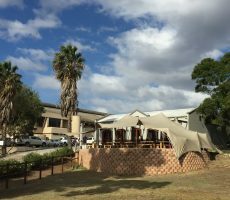 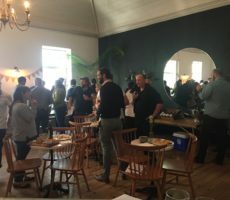 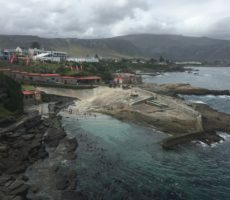 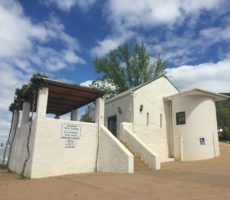 The fee too was not cheap – an exorbitant R60 and R100 for 5 pre-selected non-Reserve and Reserve wines, respectively – and priced at similar level as food in the restaurant. 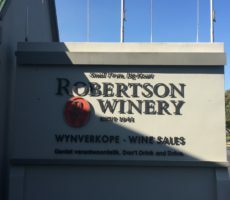 I chose the Reserve tasting. 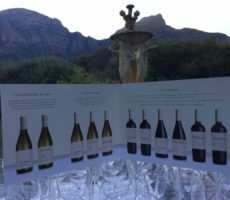 The tasting started with 2 wooded white wines (11 months in 30% to 40% new French oak), one a Bordeaux-style blend and the other a single variety wine. 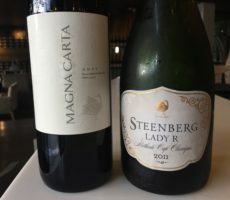 Both were decent wines in terms of complexity, balance and finish and I rated them the same. 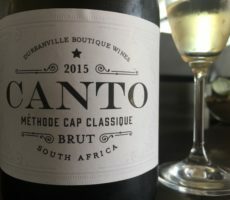 The blend was crisp with classic Sauvignon Blanc herbaceous and lemon citrus notes balanced by honey and warmer saffron and papaya flavours from the Sémillon. 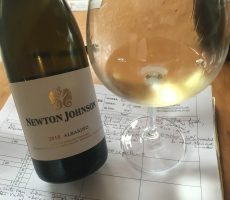 Lemon flavours mingled with warmer apple in the flagship white, the Chardonnay, that had a creamier mouthfeel. 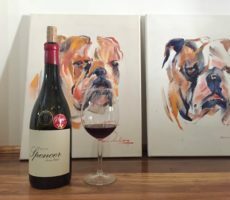 The Pinot Noir, the flagship red, oozed quality but then it should at R395 a bottle. 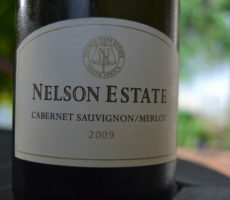 Medium bodied and pale to medium ruby in colour, I liked the forward aromas of red cherry, raspberry and maraschino. 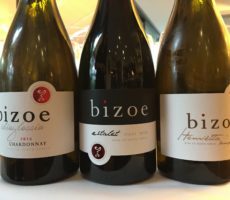 These were balanced by tight tannins from 16 months maturation in a combination of 60% new French oak and 40% in concrete ‘eggs’. 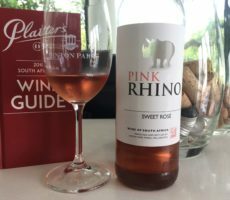 The follow though from nose to palate was firm and the finish positive. 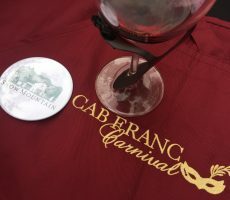 The Cabernet Franc had an equally good nose of red cherry, mulberry and blackberry. 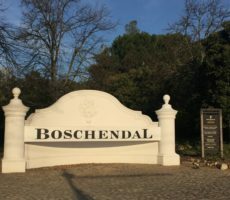 Moderate tannins (18 months in small French oak barrels) balanced the fruity flavours on the palate to leave a lingering aftertaste. 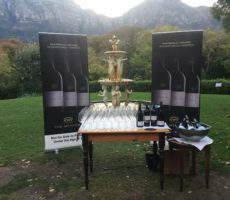 My favourite wine of the tasting was the final wine: the Troika Reserve. 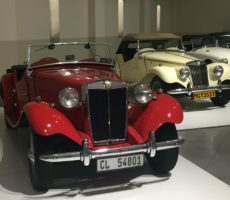 A Troika is a ‘Russian sleigh pulled by 3 horses’. 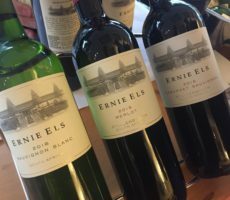 I still cannot find a connection between the name and the wine – it would make some sense if the Bordeaux-style blend was made from 3 (not 4) cultivars – other than perhaps some tangential link between Russian and Alpine snow. 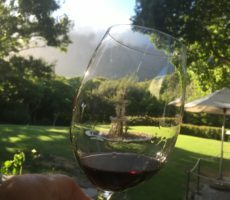 The medium to dark ruby wine promised much from the bold aromas of dark blackberry, mulberry, cassis and ripe plum. 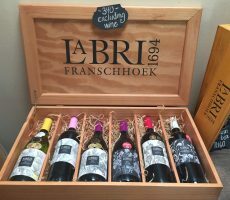 The rich flavours on the palate matched with closed tannins from 18 months in French oak. 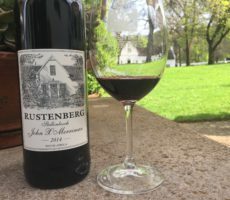 This is a wine that will improve with age over many years (10 to 15) as the tannins soften and open out. 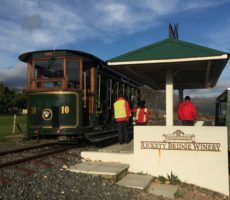 We had little time left before returning to the Wine Tram for the next leg of our journey. 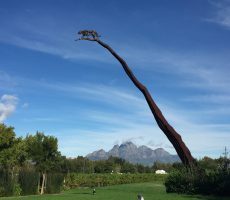 I left Chamonix with the sense that I had been cheated and robbed of an extended, relaxing stop mid-tour. 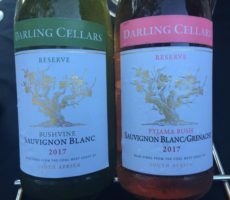 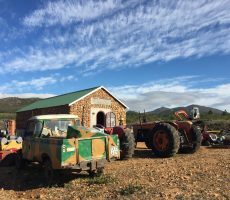 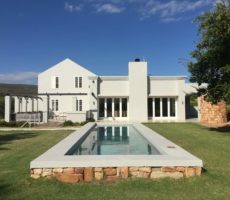 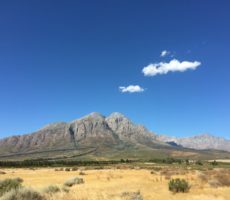 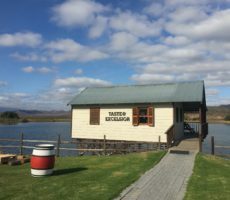 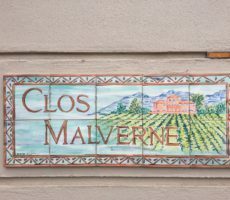 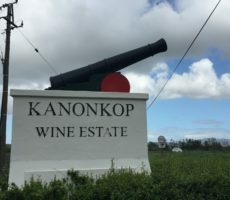 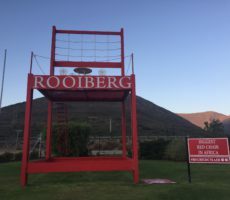 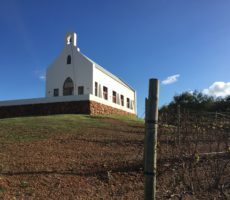 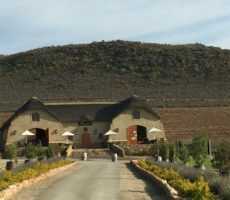 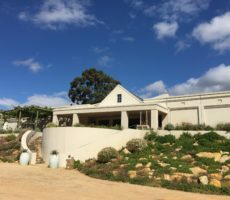 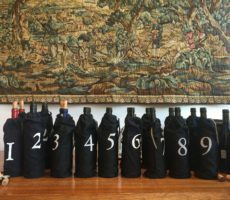 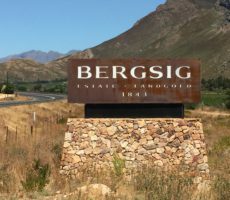 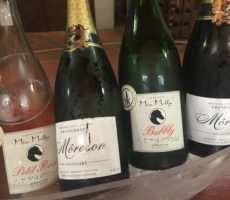 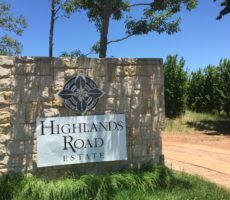 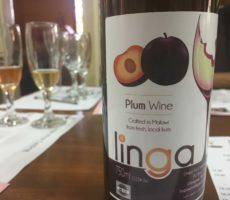 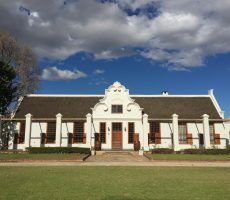 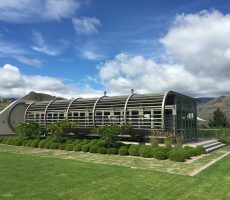 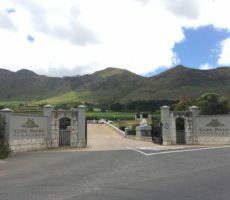 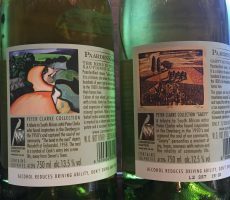 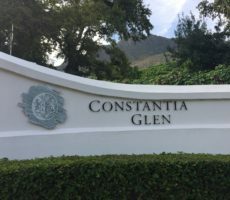 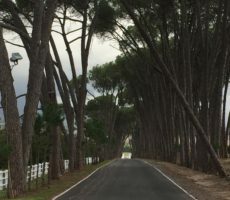 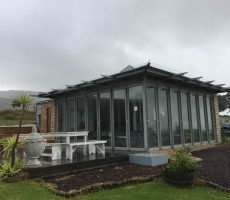 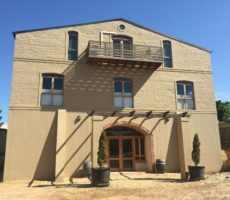 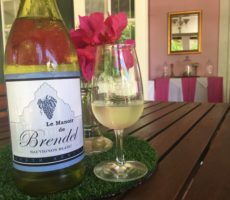 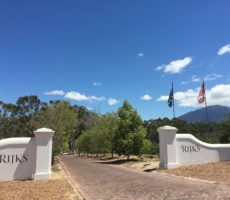 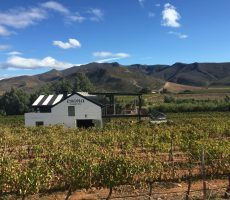 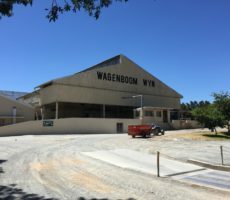 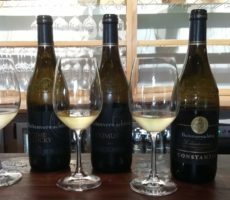 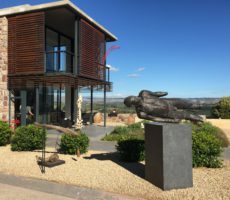 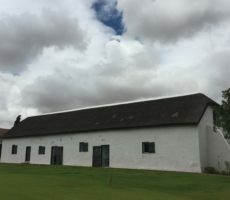 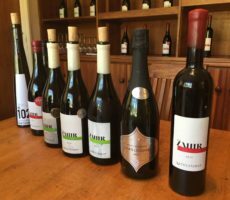 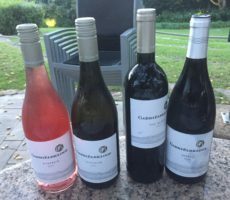 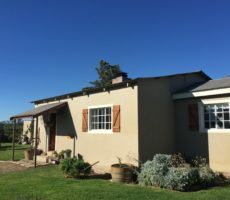 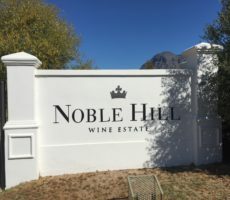 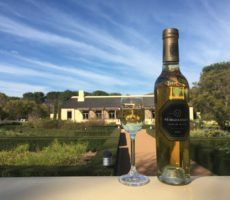 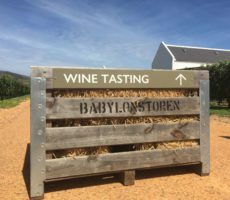 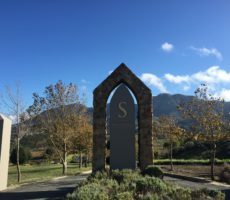 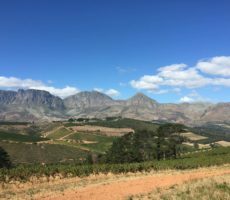 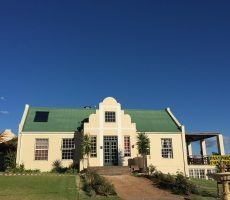 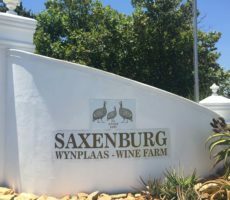 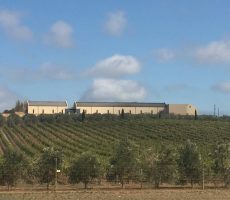 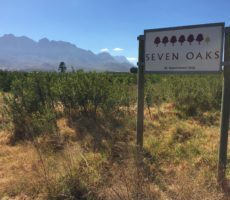 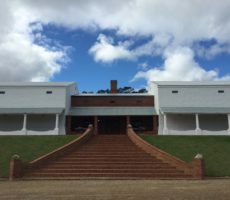 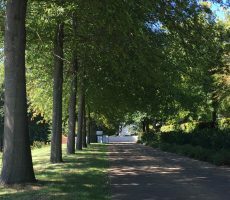 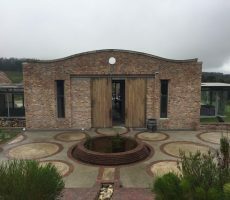 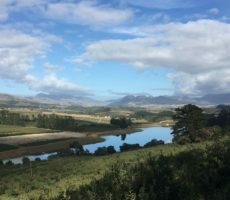 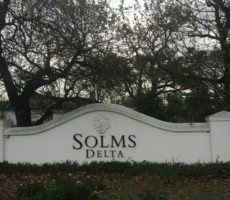 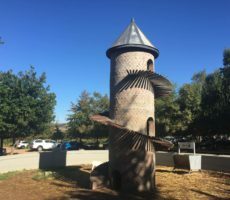 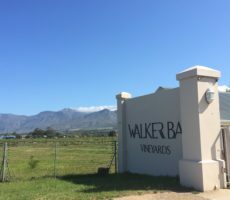 The wines were undoubtedly of quality – and considerably better than those at Maison – though buoyed in price by some R50 to R100 a bottle compared with other wine regions. 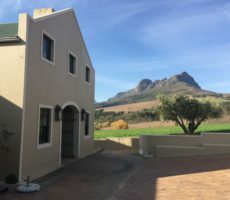 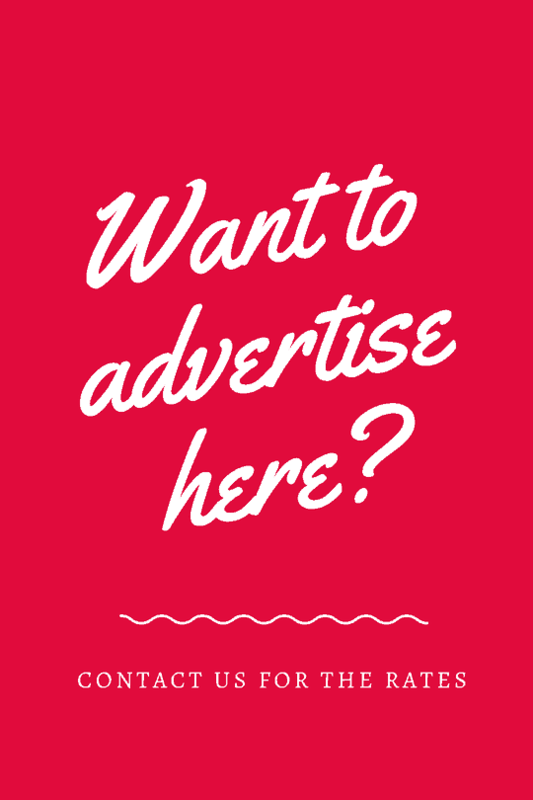 I wondered if I was starting to recognise a ‘Franschhoek’ pricing effect; time will tell. 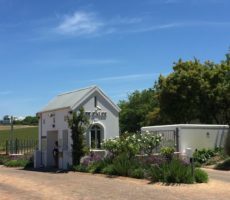 Regrettably, the visit was let down by a lunch that was poor in both service and quality and for that I have marked down my overall experience score. 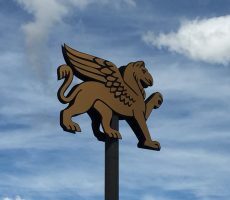 Chamonix, for me, remains on the slopes when it should sit confidently on the peaks.